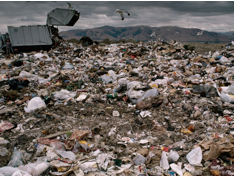 We know environmental pollution comes in various forms including air, water, soil, etc. Each one of us is a stakeholder as we are all inhabitants of this one and only mother earth, and each one of us can contribute something to advance environmental pollution mitigation measures. You and I should therefore accept personal responsibility for the success of the environmental protection programs of our respective community by cooperating and actively participating in making the atmosphere pollution free. According to the United Nations Environment Programme (UNEP), “One person alone cannot save the planet’s biodiversity, but individual efforts to encourage nature’s wealth must not be underestimated.” Every action or inaction by any person regarding his or her surroundings has an effect - be it good, neutral, or bad- on the environment. By becoming aware and doing the right action, we are choosing to be part of the solution. This is why our theme for the first ever ELPH™ Awards Conference is Faith in Numbers. To me, this means that as individuals we practice sustainability to the best of our abilities. But collectively, we can move mountains.On January 31st we will be honouring the Environmental Leaders in the Personal care, Pharmaceutical, and Healthcare fields. Yes - I mean the Best of the Best. Stay tuned for all the exciting details.